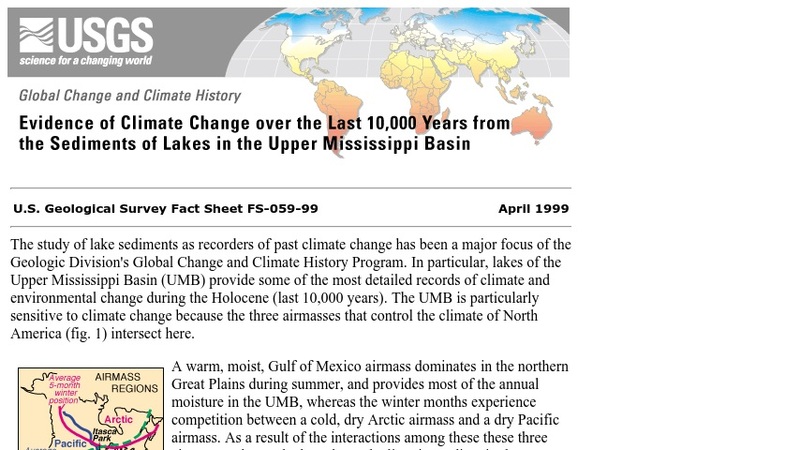 This USGS fact sheet discusses paleoecological records derived from sediments in the upper midwestern US (e.g. Minnesota). The paleoecological record was derived from varved (seasonally-laminated) sediment cores, geochemical data, and pollen.